Meet S. She is 14 years old and in 5th grade. 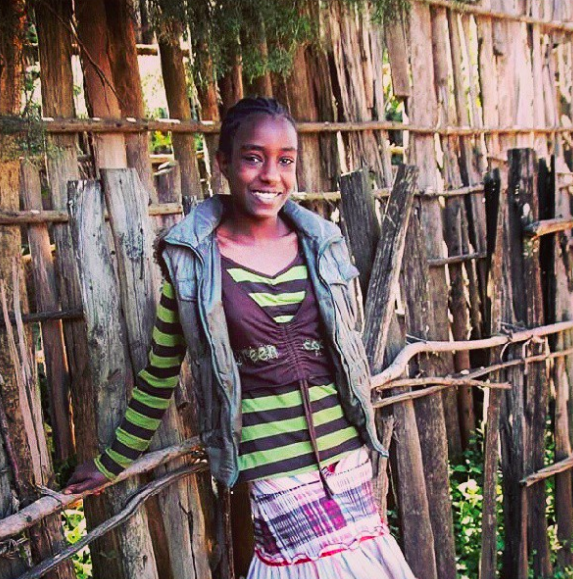 S and her three siblings live together in a local Kembata Tembaro village. Despite the loss of both of their parents, the children thrive under comprehensive community care. Their story is one that represents local solutions grounded in careful and caring collaboration. For example, their home is provided by a local businessman. All four children attend school, each with their own sponsorship; Roots Ethiopia, Meserete Kristos Church, a local elder’s family, and another local church. These children continue to live together and are growing up in their home community with hope and stability. Roots Ethiopia values community partnerships. One excellent outcome of working with our field partner is the ability to join local efforts to protect and care for vulnerable children using well established collaborative community strategies. Church communities have long been the local social service providers and caregivers to the vulnerable in Ethiopia. We are proud to be part of the caring collaboration that is sustaining S and her siblings.